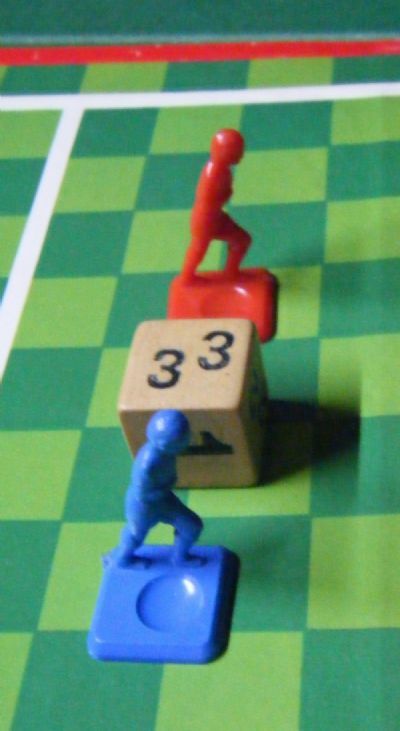 A nice simple checkerboard style game with an unusual dice that makes the game quite interesting. A very realistic simulation of football. 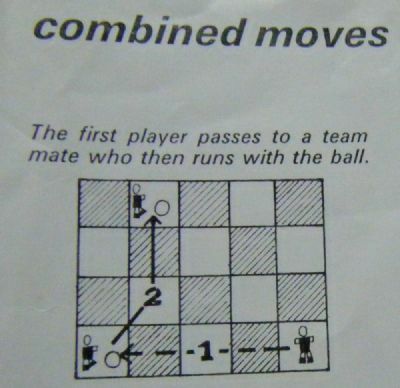 Now inlcudes the international version of the game. 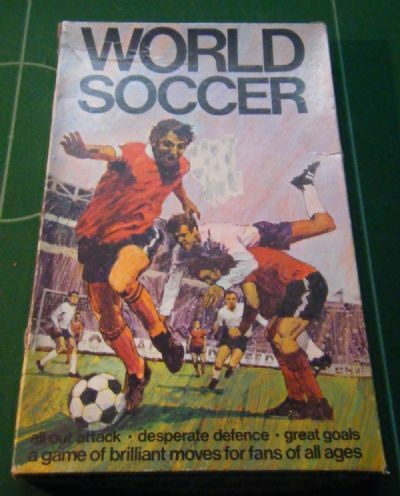 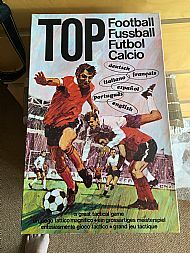 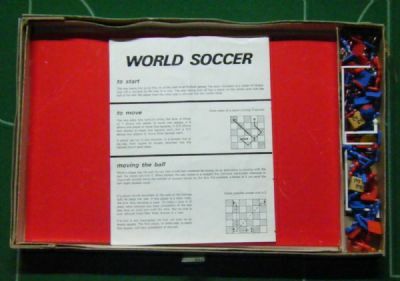 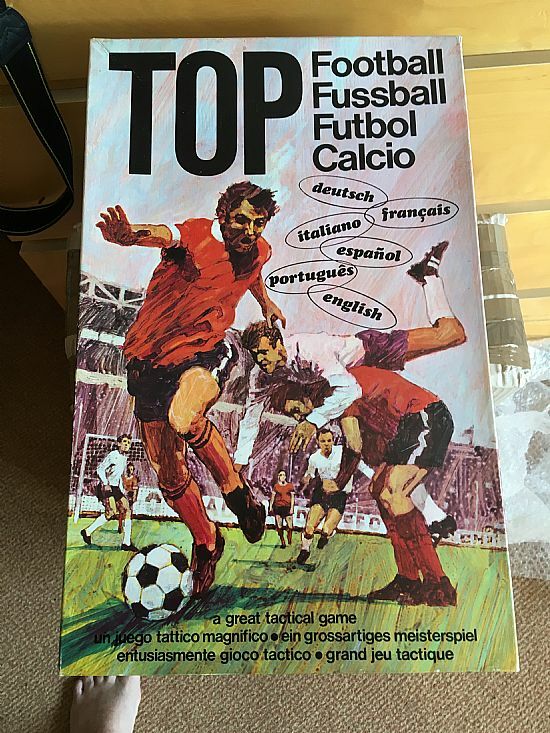 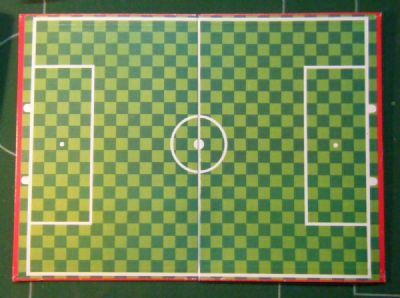 This is the international box version of World Soccer, same contents (mint) with dicer dice and a new name! The plastic figures look as if they are wearing helmets! 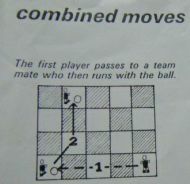 Interesting and very well thought out dice though. 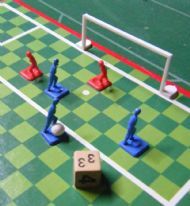 The dice results in some quite realistic game play. 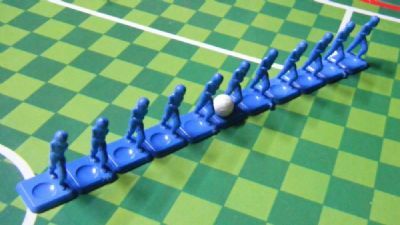 Full set of 11 players each with ball holder in the base.